Any die hard Deepchord fan will want to get their hands on this. A special edition package of the forthcoming 20 Electrostatic Soundfields album. Limited to 100 (one per person), the package includes a CD and full length DVD and also a print of an original photograph by Rod Modell itself, which isn’t included in the limited version on its own. Also included is a 100% lightweight cotton t-shirt and tote bag, both of which are printed with the album artwork. This package is limited to 100 copies so best to grab yours now, once they gone that’s it! And remember, we are giving away a copy of the album to one lucky winner, enter our giveaway here. Prior to the release of Deepchord’s 3rd full length on Soma, we are pleased to deliver yet another exclusive, limited edition picture disc in the form of 3 track ambient piece, “De Wallen”. This specially crafted EP is strictly limited to one vinyl only run and features photography by Rod Modell himself. 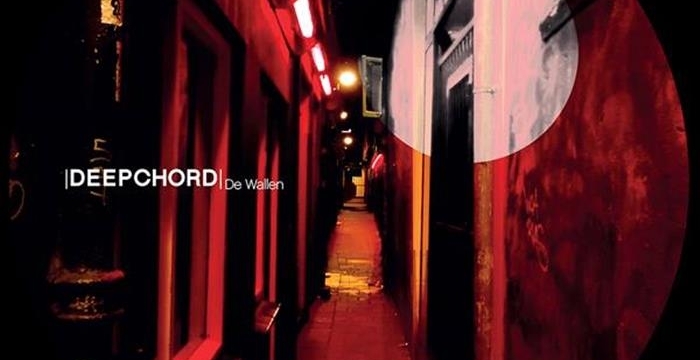 De Wallen’s layers of deep, swirling, metaphysical atmosphere and processed recordings of the area that it is named after, provide a sonic-photograph of Amsterdam’s red-light district at 3am. Possibly the only soundtrack ever composed for this area. Otherworldly, and charged with a deep frenetic energy, this music presents an inter-dimensional portal into darker realms. Electromagnetic radiation etched into a piece of vinyl for phonographic dispersion. This is a unusual piece of “sound art” rather than merely electronic music, and has little (or nothing) to do with dance music’s frivolity. Side B of this release reflects De Wallen’s “sound art” aesthetic. “Prayer Wheel” is a generative-music life form (inspired by the night-sky and seaside) that expands, contracts, and mutates like a living organism. “Range Lights” is a luminescent sonic artefact, recently unearthed after years of being buried. The analog warmth and imperfections inherent of the vinyl format further the surreal nature of these artworks in a way that no digital format could reproduce. A new paradigm in “sound art”. Immersive, shimmering, electro-mystical atmospheres that the adventurous sonic-traveller will find themselves often revisiting. 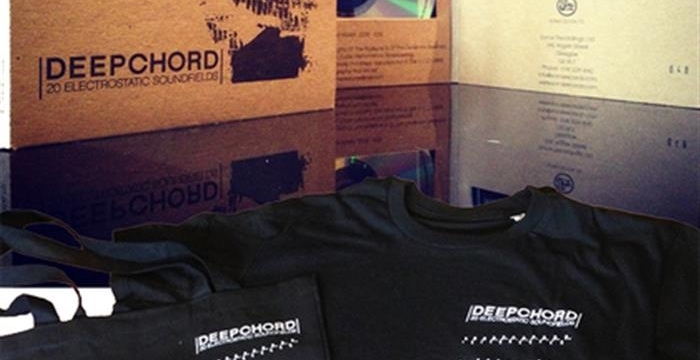 If you listen to dub techno, then chances are you have come across Deepchord. If this is your first time, then welcome to an audible masterpiece from Rod Modell. An album still heavily characteristic of Deepchord previous works, however this album seems to be lighter than the previous deep & heavy atmospheres created in Liumin and Hash Bar Loops. Sampling more more sounds from nature as opposed to the previous albums which featured field recordings from Tokyo and Amsterdam. I felt a little too overwhelmed by the field recordings in Liumin, I could never get into a groove with that album. I wanted to hear more melodies, chords and echos as opposed to the constant wash-over of the urbanised hussle and bussle, I do love urban field recordings in tracks but only if they are in the background. Sommer appears to answer some of those feelings. It’s hard to get the perfect balance though, I wish Sommer used more of the field recordings in Liumin and I wish Liumin used more of the chords and beats in Sommer. But I feel Sommer is definitely a step in the right direction. There is just something about nature and dub techno that I love so much, sounds of birds, waves, wind blowing through trees seem to match perfectly with the slow ethereal vibe that the trademark reverberating chords and pads create in dub techno. Tracks like Aeronautics are a perfect example of this. There is not one bad track in this album, which might not seem as a surprise, but believe me, it’s very hard to make a 13 track dub techno album and not run out of steam, imagination and vision once you start getting into 8+ tracks. Too many albums (and this goes for all genres) have a few superb tracks in them and then seem to drop in quality and it just feels like the artist lumped together any old track to fill the space. Like most of the other Deepchord stuff this is once again, a genre defining album, and something that I know I could give to a non dub techno listener for them to discover this music in it’s finest form. I certainly had a relaxing afternoon listening to this album, sit back and stick it on and smile. My favourite track(s) from the album? – Aeronautics. Following on from the dark intensity of Hash Bar Loops, Deepchord has continued to innovate and diversify his output. Traces of the previous album remain on this record but here, there is a lighter more ethereal feel. Deepchords characteristic manipulation of space and time is still intact and is an integral part of Sommers soundscape. Modulating textures, sliding tempos, shifting rhythmic elements, and electroacoustics create a constantly evolving, vaporous sonic-tapestry. Rich field recordings and proprietary processing methods (developed over 20 years of making such recordings) provide an impactful, living, organic element with flecks of percussion and bass pulsing from the soundfield. Atmospheric warmth and engrossing layers are expertly woven, many of the source-recordings were made on a beach near the artists home. Wind chimes, circulating air, and a marine sounds give this album a distinct identity rarely experienced in the sphere of digital music. 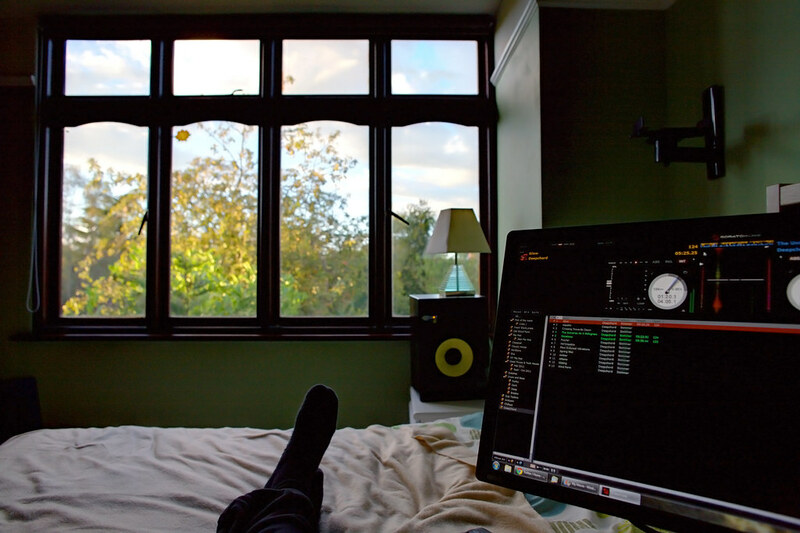 A rare amalgamation of deep organic-atmospherics and dance music. A living breathing organism, quite unlike anything else. Light and aquatic feeling, with a few darker introspective moments later in the album, but it never gets foreboding or overly heavy. The overall mood here is evocative of warm summer evenings, and is equally effective on a PA with a crowd, as it is on the beachside with headphones alone. An August release date coincides perfectly with the albums themes and will be a powerful addition when played out over the summer and on into the autumn as part of Deepchords thoughtful, expansive sets, which should be plentiful in the coming months. A monumental 90 minutes transmission from the deepest side of techno. 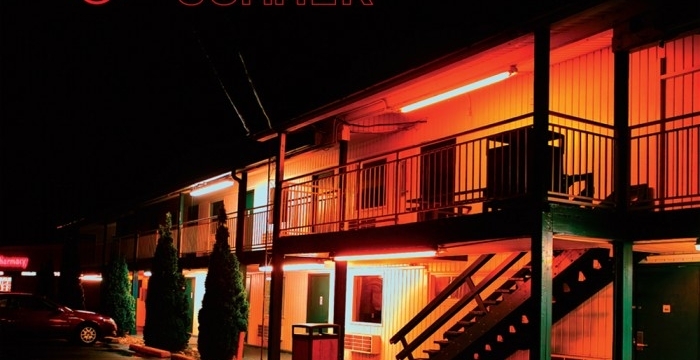 When the end of summer is nigh, listening to an album like “Sommer” can be highly stimulating. 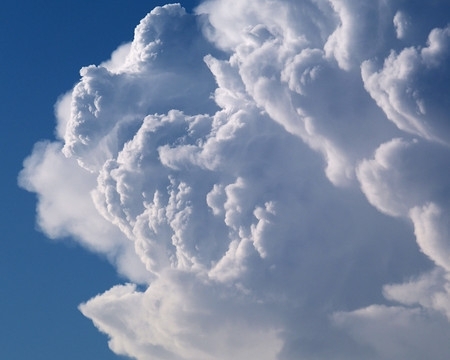 Rod Modell says it himself: to him, summer isn’t the season of heat but of nature being at its peak, especially the part we in the northern hemisphere are entering now. That’s why his music moves at an easy pace, almost static, zig-zagging between muffled 4×4 beats and bass lines pumping in the distance. 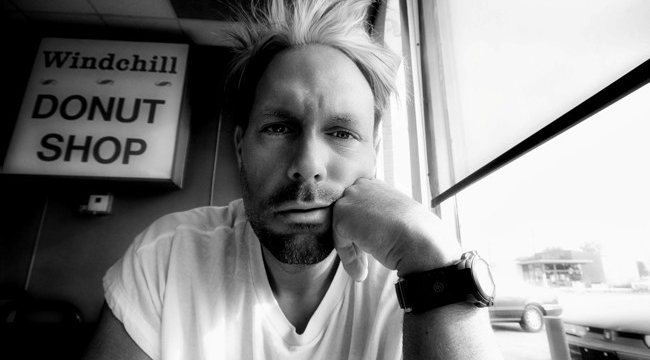 After last year’s album “Hash-Bar Loops” Rod Modell is back to satisfy our need for hypnotic, sonic massages, with an album that delivers exactly what a project like this promises. 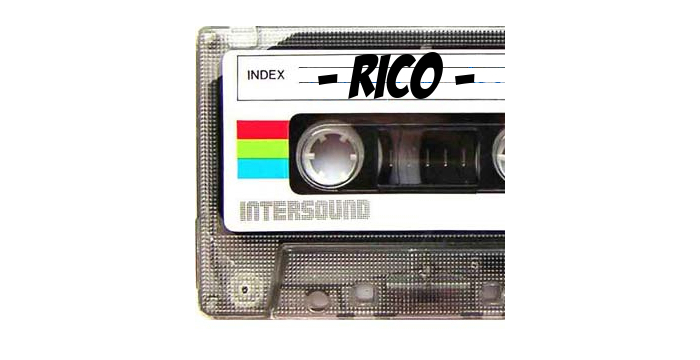 And to commemorate and complete the job, today he’s bringing us an exclusive mix. Unless you have been living under a rock the last few months you probably know about the eagerly awaited second album from Deepchord. To celebrate the imminent release date Soma Records and Deepchord have kindly given away a free track (in lovely .wav). 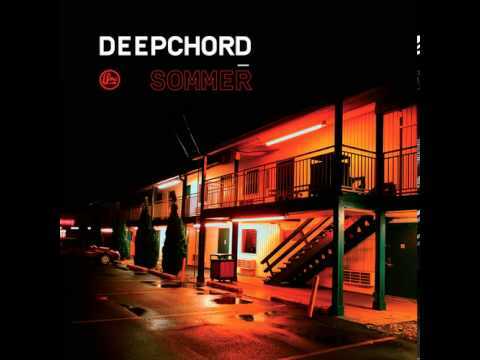 As we eagerly await the release of Deepchord’s second album on Soma entitled ‘Sommer’, we have a free track available for download which does not feature on the album! Deepchord on the Kana Podcast, not to be missed! Great selection from Bass and Treble, really nice flowing, up-tempo vibe to it. 10. Mikkel Metal “Fubre” – Echocord Colour, 2011.